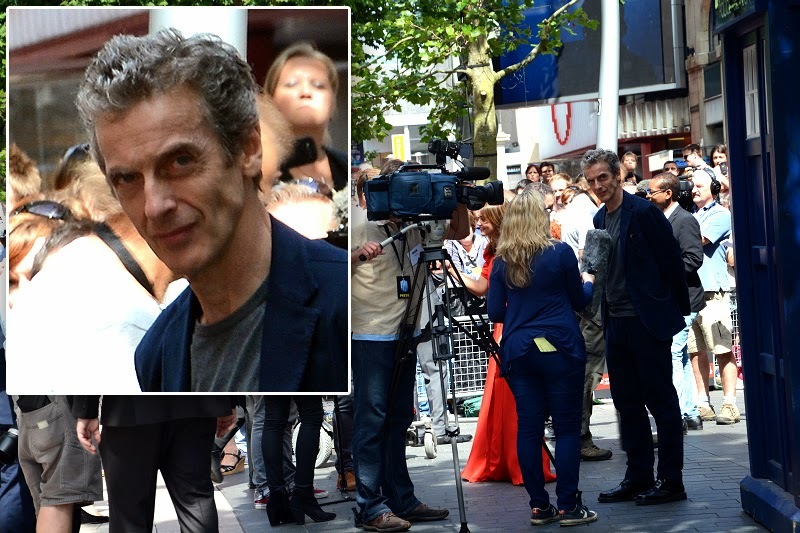 The 12th Doctor, Peter Capaldi, greeted heaving crowds yesterday as thousands of Who fans flocked to Cardiff ahead of the world premiere of the show’s new series. With head writer Steven Moffat and companion Jenna Coleman, not to mention several Daleks and Cybermen, also in attendance, fans lined the red carpet for a chance to meet the stars. A few lucky ticket-holders even had the chance to join the cast and crew for a screening of the feature-length opening episode, entitled Deep Breath. The first step of a world tour taking in South Korea, Australia, the US, Mexico and Brazil, the event ratcheted up anticipation ahead of the new series, which will start on the 23rd of August on BBC One. Capaldi, described by Moffat as a “brand new, slightly shocking, extremely funny charismatic doctor” was as delighted with the occasion as the assembled crowds: "After eight months solid filming deep in the world of monsters, Jenna and I are thrilled to be heading for the Planet of Fans," he said after the tour was announced. NEW TRAILER FOR INTO THE DALEK!